Swire Bulk vessel MV Erradale . The China Navigation Company (CNCo), parent body of Swire Shipping and Swire Bulk announced an agreement to acquire the bulk shipping business of giant shipping brand Hamburg Sud. CNCo managing director James Woodrow said they were excited to have signed the ac­quisition knowing the two synergies had al­ways existed between the two businesses. “CNCo is excited to have successfully signed this acquisition,” Mr Woodrow said. 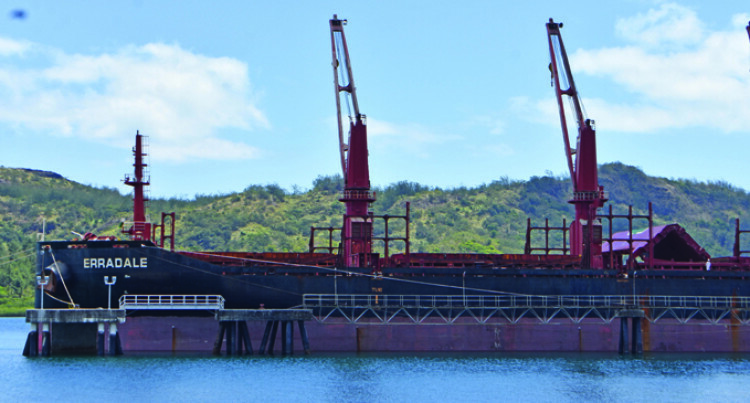 Swire Bulk had been carrying bulk sugar parcels for the Fiji Sugar Corporation (FSC) for several years and had worked with th FSC for end-to-end cargo management. “There are some very natural synergies be­tween the businesses and we are delighted to acquire such an experienced high-quality team and business that complements our own modern economic fleet and helps to de­velop our strategic expansion,” he said. Through the acquisition CNCo will take over a fleet of 45 vessels in the handysize, supramax, ultramax, panamax and kamsar­max sectors. Hamburg Sud Chief Executive Officer Arnt Vespermann said the step taken by Hamburg Sud was a step in the right direction with a clear focus and a logical approach. “As part of Maersk, the world’s largest liner shipping company, this clear focus is a logical step. At the same time, CNCo is an established and well-respected company in bulk shipping that is on a growth course in this segment and therefore constitutes a good new home for RAO, Furness Withy and Aliança Bulk,” Mr Arnt Vespermann said. “With this step, Hamburg Süd is focusing as planned on its liner business with its two con­tainer shipping brands, Hamburg Süd and Aliança,” he added. Closing of the agreement is expected by the end of the first quarter of 2019, subject to regulatory approval. The parties have agreed not to disclose the sales price. The RAO tank­ers business unit is not included in the sale and will remain part of the Hamburg Süd Group for the time being.